← Do Environment-friendly Flights Exist? A long haul flight is a wonderful thing, isn’t it? Maybe it’s finally time for a long-awaited weekend in New York, or perhaps a two-week adventure in Australia. We assume you don’t really picture your holiday to consist of fatigue, concentration issues, a lower intellectual ability, lack of appetite, nausea, upset stomach, or body aches. 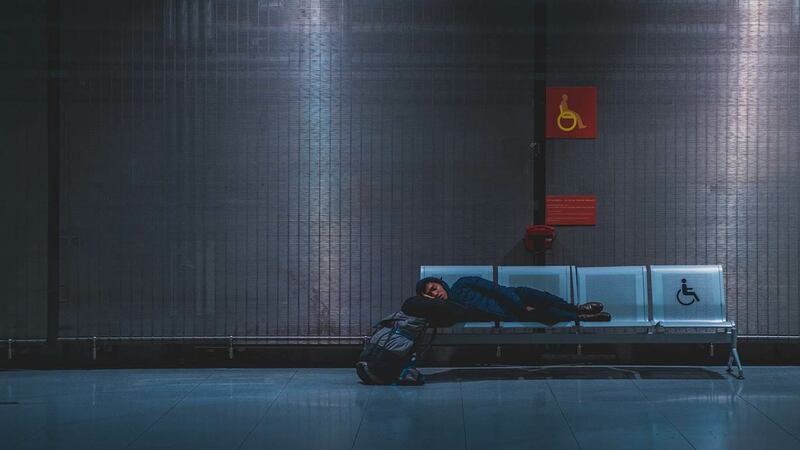 For some people, jet lag is actually prone to cause flu-like symptoms, and not only can jet lag ruin your holiday – it can also cause trouble with your work, diet, exercise, and health. It seems rather unnecessary to waste days to feel bad – both during and after your trip, doesn’t it? Especially when you can avoid, or at least minimise, your symptoms. Here are some of our tips on how you can prevent jet lag after long haul flights! The hows and whens play an important part in how jet lagged you’ll feel. If you know you’re prone to jet lag, perhaps it’s worth it to book an overnight layover. That way, you’ll gradually get used to the new timezone – and as a bonus, your flight might be cheaper. You should also adapt your booking according to your personality. If you have trouble sleeping on the plane, do yourself a favour and book a flight landing at night, local time. If you on the other hand have no trouble sleeping during the flight, the best thing to do is to land early morning, or lunch time – that makes it easier to adapt to the new timezone. Dehydration is one of the biggest factors for bad jet lag. High altitude and lack of space makes the air extremely dry – which makes jet lag a fact. Knowing this, it’s obvious why we should avoid alcohol and caffeine. Alcohol doesn’t just dehydrate you, it also puts your body out of balance, and the caffeine affects your sleeping habits. Instead, drink a lot of water, and ditch the coffee and cocktails. It’s easy to stay seated during long haul flights – save for toilet breaks. Make moving around a habit during the flight! A bit of yoga or stretching, or just walking up and down the aisle, is enough. That way, you’ll get your blood circulation and oxygen flow started, which lowers the risk of jet lag. Eating habits, along with sunlight, have been said to be the biggest factors causing jet lag. That is why you should be extra careful with what and when you eat during the flight and first few days of the trip. Perhaps it’s a good idea to fast 12-15 hours before you arrive to your destination to reset your body’s eating habits. When you then arrive at your destination, it’s important to have a clear breakfast, lunch, and dinner schedule. Try to avoid snacking between meals during the first 24 hours, unless it’s something healthy like carrots or nuts. Of course, we understand this is not the simplest of tasks, since long haul flights have a tendency to make you hungry, but try to stick it out; it’ll help you after only a day. From a jet lag perspective, travelling east is the hardest. It means you have to fall asleep earlier than usual, which often is harder than to stay awake. If you know you usually have trouble sleeping, perhaps looking over the medication cabinet is a good thing. There are many over-the-counter, lighter alternatives at the chemist. Just remember to check the side effects, and to not take sleeping pills regularly. There are also natural alternatives to help you fall asleep; perhaps a cup of chamomile tea can help? Regardless of how tired you are, don’t take naps (this is important!). Be outside as much as you can, eat healthy, soak in the daylight, move around, and take a swim in the ocean if possible. All this will help you accommodate to the new timezone and everyday rhythm. Also, don’t forget to reset time to your destination even before you board the plane. This will help you mentally, and will make it easier to keep your routines. We hope these tips and tricks will help minimise your jet lag, because jet lag really is such a boring thing to let stand in the way of enjoying your holiday. Good luck!